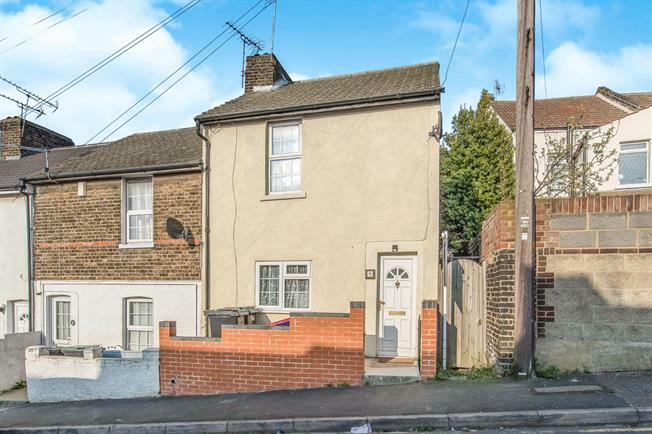 2 Bedroom End of Terrace House For Sale in Gravesend for Guide Price £210,000. This property's price has dropped from £220,000 to Guide Price £210,000. Perfect for first time buyers, commuters or investors, this 2 bedroom end of terrace home ticks all of the boxes. The well presented accommodation comprises lounge, dining room, kitchen and an attractive rear garden. To the first floor there are 2 double bedrooms and a family bathroom. You will not be disappointed call now to view!